There are innumerable games on the app store, but sadly the good ones cost a bit too much. However, if you are looking for a new game to play, do check out this new offering by IGN for the month of September. IGN’s Radiation Island is now available to download as Apple’s app of the month and it is going free for the very first time. However, you cannot just navigate to the App Store and download the game, there is a simple catch to it which we will be telling later on. Radiation Island, originally costs $3 and has been dropped down to as low as $1. Now it’s free game of the month for all iOS devices that includes the iPhone, iPad and the iPod Touch. The game has received an astounding 4.5/5 stars from more than 3,400 users. IGN’s Radiation Island is one of a kind game with cutting edge graphics and a storyboard that hooks the player for good. 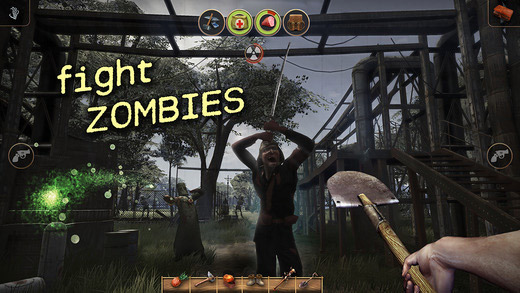 Let’s ponder over some more details on IGN’s free app of the month, Radiation Island. The premise of Radiation Island is to craft things for your survival needs. The plot deals in a Philadelphia Experiment in an ‘alternative, parallel’ reality’. Users have a huge area to explore where strange creatures and animals lurk to kill anything that’s not them. The mysterious world holds many surprises and puzzles that users would have to solve to move on. A lot of investigation and observation is required to advance forward in the game while keeping away from dangerous animals. Real life circumstances would call for desperate measures like hunting, fishing or gathering fruits to vanquish hunger. 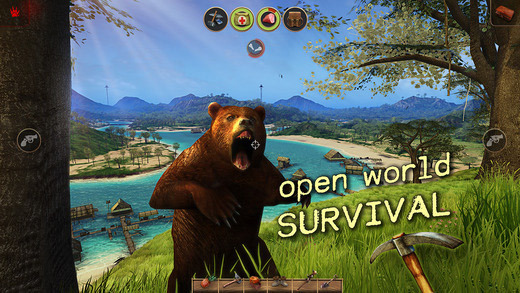 Users also have the ability to mine and craft tools and weapons to keep wild animals away. Exploring the world would reveal hidden weaponry, firearms and other stuff that will be required to get along with hideous anomalies, raging zombies and jarring weather conditions. As we have mentioned earlier, the game boasts real life dilemmas, which means you will have to consider the time of day and night as well as cold and darkness. Radiation Island is an amazing game with great attention to detail. The game has been optimized for iPhone 6 and 6 Plus, as well as the current latest A8 processor. Users can save and share their progress in the game via iCloud support. AirPlay mode is also supported so if you’re lucky enough to own an Apple TV, you can play Radiation Island on a bigger display. To download radiation Island, you need to visit IGN’s page and click on ‘Get Free Game’. This will prompt a code on the display. Then navigate to the App Store on your iOS device and at the very bottom, tap on ‘Redeem’. You will be asked to type the aforementioned code. Press ‘Done’ and Radiation Island will start downloading to your device automatically. This is it for now, if you have successfully installed the game, let us know how you guys liked it.